Welcome! Please tell us your pen name, your book title, genre type, and series name, if applicable. 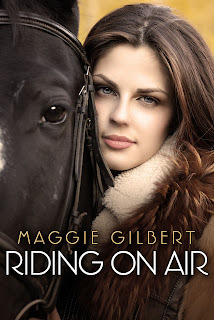 I write as Maggie Gilbert and my debut eBook Riding on Air is out now. It’s a Young Adult Romance with a rural flavour and a big focus on horses. Three people you would like to thank. Well, it’s not exactly three, but I’d like to thank everyone at Harlequin Escape, and a special shout out to the cover artist who created such a gorgeous cover. Huge thanks to my friends and family for all the support. One sentence to describe your book. 16 year old Melissa wants to prove her beloved horse Jinx is a champion before time runs out – but then the hot boy she’s crushed on her whole life asks her out, turning everything upside down. An excerpt from your book, approximately 300 words long. After that I couldn’t think of anything else to say, so we finished hosing Jinx down in silence. I wished I was one of those cute, flirty girls so I could threaten to spray William with the hose, but I was way too chicken. The only times I got him with any spray it was an accident. When I was done, William turned the tap off and then he bent to Jinx’s near foreleg, cupping his hands around it and sliding them downwards, squeezing away the excess water. Watching William go around Jinx and repeat the manoeuvre on each leg, I was impressed again with how good he was with my horse. Perfect boyfriend material. I immediately gave myself a huge mental smack. Don’t even go there, moron. “Done,” William said, coiling the hose neatly back on the rack. I knew the next person would leave it in the snarled state I’d found it in, but I didn’t say so. Even though I’d (sneakily) paid plenty of attention to what William was up to over the last few years, I’d somehow missed noticing how much attention he paid to things. But I liked how tidy he was. Compared to the trail of boots and tools, empty beer bottles and dirty coffee cups my stepbrothers left around our house, it was a real novelty. “You’re like a good fairy, the way you turn up when I need help,” I said, reaching for Jinx’s lead. “I’m no fairy,” William replied and there was something in his voice when he said it. I looked up, suddenly aware of how close he was to me, his hand resting on the railing right next to Jinx’s lead, inches from my own. William gazed down at me, his eyes looking right into mine. And of course all thoughts just fell right out of my brain. 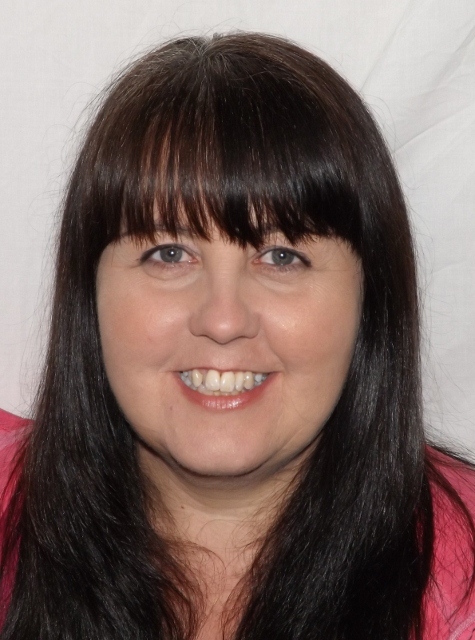 Thank you, Maggie, for joining us on The Romantic Muse Blogspot. Thanks so much for having me here ladies! Cover is stunning. Good luck with the book. You are so welcome Maggie! Wishing you more luck with Riding on Air than you're already receiving.